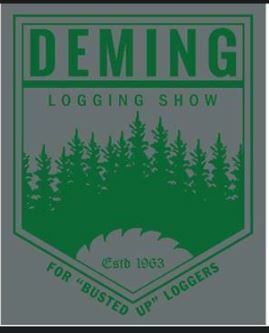 Don’t miss your chance to purchase your 2016 Deming Logging Show shirts early. Our first pre-sale of the year will be May 7th from 10am to 2pm. The sale will take place at the Deming Logging Show caretaker’s home located at the camping gate entrance of the log show grounds. More dates will be announced as they get closer!